This colorful illustration is a geometrical figure constructed by Kazu Watanabe (1767-1839), a Japanese mathematician. 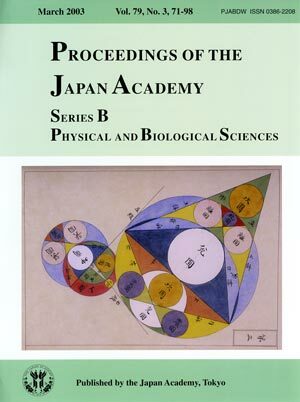 Watanabe edited the Kinsensanpo, a mathematical book described in 1819, in memory of his master Yasuaki Aida (1747-1817), the founder of Saijo school, one of the most active groups in the mathematical sciences in the latter half of the Edo period. This figure shows one of the mathematical conundrums in the above book. 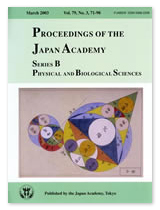 With appropriate assumptions, Watanabe provided a solution for the value of the diameters of the two purple circles, seen in the lower center of the illustration. In those days, many of traditional Japanese mathematicians devoted themselves to solving such complicated geometrical problems featuring chains of circles.